I have recently totally fallen for fruit eau-de-vie, specifically, those derived from yellow plums (Mirabelle), apricots (Blume Marillen), cherries (Kirsch), pears (Poire William), apples (Calvados), plums (Slivovitz) and raspberries. Though this is a cocktail website, I prefer to drink these chilled beauties on their own in small liqueur glasses 1.5 ounces at a time. 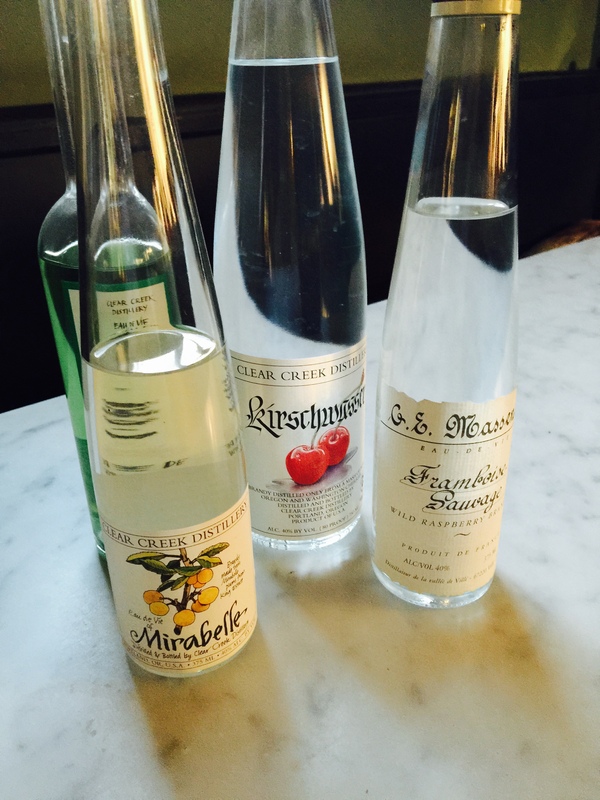 Classic lines include Massenez, Miclo, Theo Preiss and Clear Creek but Okanagan Spirits in BC has been making fine fruit spirits of late. I really can’t get enough of the stuff.